This fascinating Mutton Biriyani calls for perfectly measured ingredients and well-practiced tricks. Aromatic indigenous spices play a crucial role in dishing out the nice Biriyani. Lemon lends this exotic Biriyani its tangy effect. Instead of meat chunks, we use small meat pieces. 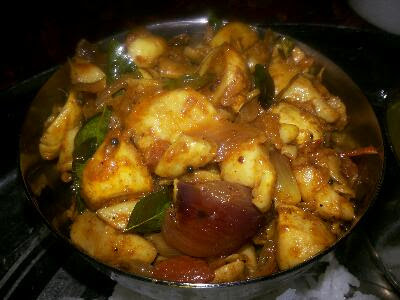 The unique rice used in this Biriyani is Seeraga Samba Rice. This rice is small grains similar to cumin seeds. Hence this name. Cumin Seeds are called as Seeragam in Tamil. The small ovular grains are harvested typically in August to January every year. It has a nice fragrance. Seeraga Samba fetches higher cost than all other variety rice grown in Tamil Nadu. Don't miss this delicious taste of this rice! How to make the most perfect biriyani? Heat the wok with one tbsp ghee=groundnut oil mix and fry the Seeraga Samba Rice until creamy brown. Rinse with water one time. Add 350 ml water and set ready. Wash the meat and drain. 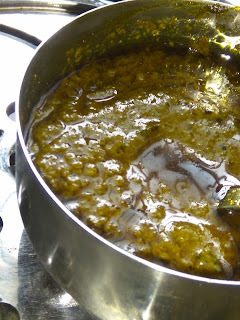 Heat The pressure cooker with the remaining ghee=groundnut oil mix. Add all the spices except nutmeg to the ghee mix and fry on low heat. Fry until the nice aroma emanates. Transfer the meat. Add salt. Saute until the meat pieces turn pale and shrivel. Add coriander powder, cumin powder, Pepper powder and nutmeg powder. close the lid. Place the weight. Allow five whistles and remove from the flame Set aside to cool down. Add coriander greens and mint leaves. Cover and cook up to only one whistle and simmer for five seconds. Turn off the heat for 15 minutes. Open the cooker and an irresistible bIriyani whiff emanates. 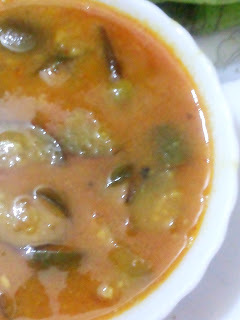 Enjoy with Curd onion Pachadi. Yield two servings. If you need for more servings, you can multiply the measurements accordingly.